For today’s post I thought I’d borrow something from Australian Women’s Health magazine Running Guide from their July 2013 issue. Before I started 12WBT I couldn’t run 500m let alone 5kms. Although I now scale back and forth with the length and frequency of my runs, for some people running is an exercise that comes naturally and for others it can be really daunting. My friend and work colleague Phil is an insanely good runner. He naturally balances his eating with his exercise and has a runners body to prove it. This is a man who regularly knocks out 10kms in his lunch break in 50 minutes! My ultimate goal is to go running with him one day! Haven’t run since high-school athletics? No sweat. (OK, well a little.) This workout plan designed by coach Jenny Hadfield, co-author of Running for Mortals, will help you build from a walk to a run. By the end, you’ll be able to run 30 minutes without stopping – and you’ll be showing off a rock-hard body under your shorts. Whether your goal is to run 5km or 10km, or drop some extra kilos, in one month you’ll be well on your way. Cool Down: 3 minutes. Gradually dial your pace down to an easy walk. Frequency: Perform running workouts 3-4 times a week, every other day. Cross Training: Add a total-body strength-training workout, and either yoga or pilates on 2 of your days off. The two most important items of gear a runner needs are a supportive, high-impact sports bra and running shoes. Both can be found at your local running specialty store. Make sure they fit well: a poorly fitted bra can reduce breathing capacity and make your run feel more difficult. The wrong shoes can give you shin splints, knee pain and a host of other issues. Get fitted by the experts for these items. Just 5 minutes of stretching and muscle-release exercises after your run is enough to maintain a healthy range of motion in your joints – and prevent tight muscles, which can lead to inefficient form and injuries. Use a foam roller to loosen up your shoulders, hamstrings, quads, calves and iliotibial bands (outer thigh). Also take a minute to stretch your chest and your hip flexors. Your running pace or speed ca vary every day because it’s based on a lot of variables: how you slept, food intake, stress, your (female) menstrual cycle, whether you went out last night…you get the idea. The easiest way to run at the perfect pace every day is to run by the sound of your breath. Take the talk test: if you can’t say the words to Happy Birthday out loud 4 times without gasping for air, slow it down. You should be able to hold a conversation while you run. Being out of breath and not being able to talk means that your running pace is too fast. Head is balanced over your shoulders and focused forward, not down towards the pavement. Shoulders are relaxed to allow your lungs to expand. Arms are bent at the elbow about 90 degrees and swinging like a pendulum from your shoulders (elbows close to your body). Hands are relaxed and not crossing over your belly button as your arms swing. Hips are under your shoulders and stabilising your legs as they move under your body. Feet are landing with short, light, quick strides under your hips. The best way to guarantee running success is to finish with a high-five moment. When you finish your workout feeling as if you can go just a little further, you feel a sense of pride, happiness and success – all of which lead to wanting to do it again and again. Running habits are created as a result of happy running moments, so try to keep it fun, rather than pushing yourself to the point of exhaustion. A common mistake that many runners make is covering too much ground with every step. That’s a bit like climbing stairs two or three at a time – it takes a lot more energy and the impact on your body is much greater. Aim for short, quick strides and a turnover rate (the number of steps you take in 1 minute) of 180. To figure out your turnover, count the number of times your left food hits the ground in 1 minute and multiply by 2. To increase your turnover, match your stride to music that’s about 180 beats per minute. You can download mixes at this speed, and others, at rockmyrun.com. If you start to feel aches and pains that don’t go away after a few days, it’s time for active recover with lower-impact activities like cycling, swimming and the cross trainer. In most cases, minor aches will heal with a few days of TLC. Aches may also be a sign you’re pushing too hard. Ease up a bit, and you’ll continue to improve without injury. 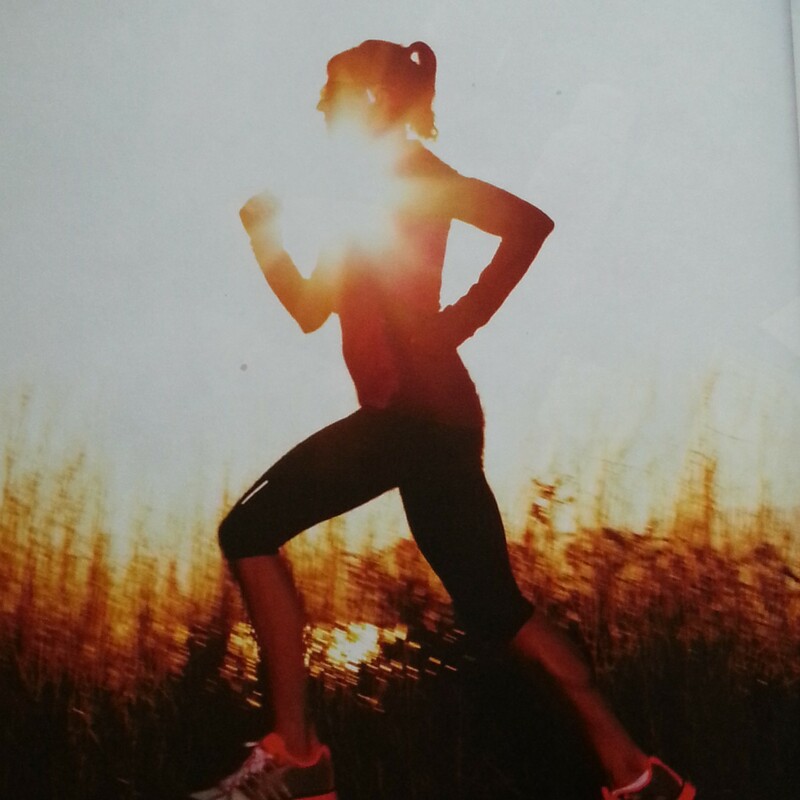 Running is like life: there will be rockin’ fun workouts and also runs that humble you. You’ll make the most gains when you run based on how you feel on any given day. On days when you feel great, take advantage of the opportunity to push a little harder or run a little longer. That way, when rough days come along you can ease back on the throttle and still make progress. Building your running regimen by adding 3-5 minutes to your workout time and decreasing your walking time every 1-2 weeks until you reach your goal. I, like you have never been a runner. I don’t know what it is, but I just don’t enjoy it. People who say it clears their head and makes them feel calm, I just don’t understand! Give me weights, rowing machines and bikes – but running and I don’t really mix. I’ve been trying so hard to change this, as I know how good it is. I’m currently doing the Couch 2 5K program, and the thought of ever being able to run more than that makes me laugh! I am hoping I’ll get there one day, perhaps if I persist enough! I did that Couch to 5k program and it was good! I love the music and the beeps – it works with my overactive imagination where I imagine zombies running after me at the beep!!! !